The M726G mulcher is designed for right-of-way, vegetation management, land improvement and commercial clearing applications. Tigercat has extensive knowledge and expertise in the design and manufacture of equipment that withstands the most severe off road applications. The M726G mulcher achieves the highest machine availability rates for excellent productivity in a variety of high duty cycle land clearing, right-of-way and site preparation applications. An optional multi-function hydraulic system and quick attach boom adapter allows the machine to be quickly and easily switched from a mulcher to a feller buncher for increased versatility and the ability to fell large or merchantable timber in forestry applications. The M726G mulcher is Tigercat FPT Tier 2 or Tier 4f powered. Tier 4f conforms to the latest emissions standards in North America and Europe. 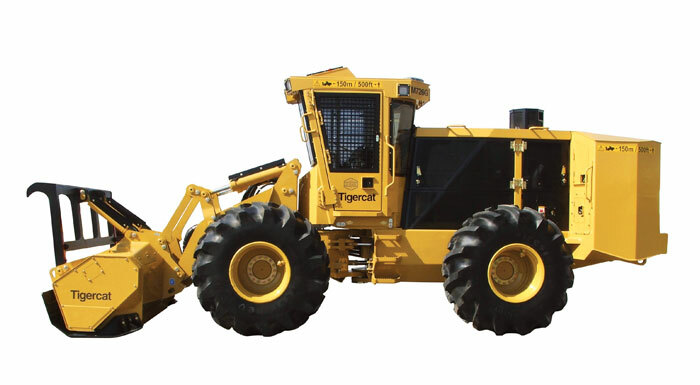 With the Tier 2 engine configuration, Tigercat brings the benefits of Tigercat power and support to land clearing professionals around the world. Best of all, Tigercat FPT engines are fully supported by Tigercat and the Tigercat dealer network. Teak round log export specialist, Proteak, ventures into eucalyptus in Mexico in a big and bold way. Tigercat and StreetWorks exhibit at massive construction and utility industry show in Louisville, Kentucky.